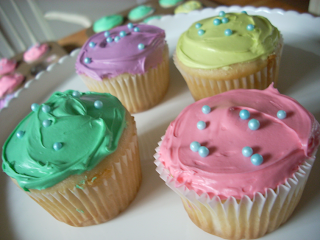 This is the story of my weekend adventure, culminating in the eventual consumption of cupcakes. When I got home that evening, I mixed up the cake mix, recalling from previous experience that I should mix the liquids together first, then slowly stir in the cake mix and only reach for the blender once every bit of powder has been mixed in with liquids so as not to end up with powder all over the kitchen. Shortly thereafter, my cupcakes were in the oven. I removed them from the oven, let them cool, then covered them in plastic wrap and then proceeded to play Lord of the Rings Online, achieving level 20 on my Warden named Eivalyn. 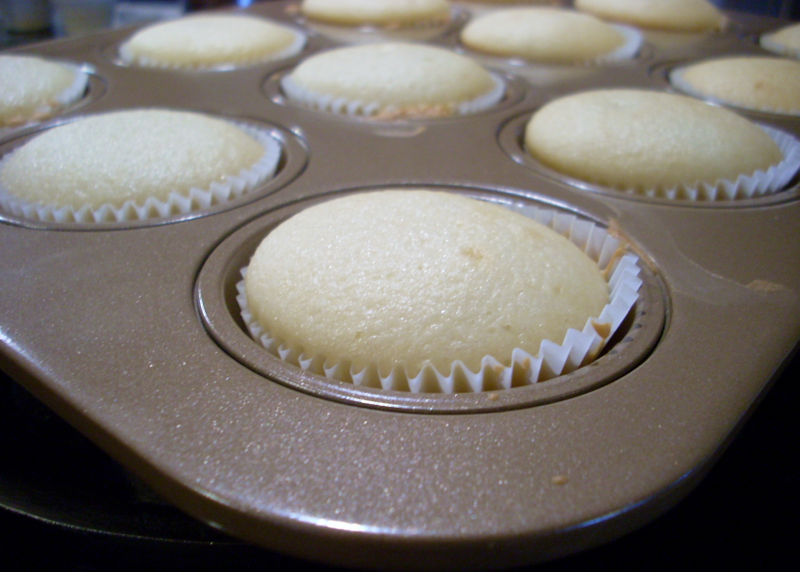 I figured I could wait until Saturday to frost the cupcakes. 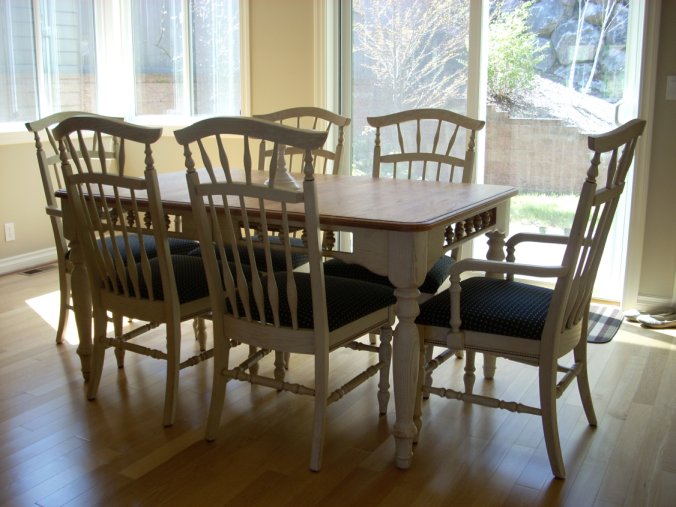 On Saturday I managed to score a nice new dining set on Craiglist for an unbelievably low price which could be equivalent to 95% off retail. Craigslist is the way to go if you know a nice guy with a truck. How does this fit in with the cupcake story? Well, obviously I need somewhere to put my cupcakes and a nice new dining table is the perfect place to sit down and do some frosting. I found a "Neon" food coloring set, which was perfect for Easter colors. 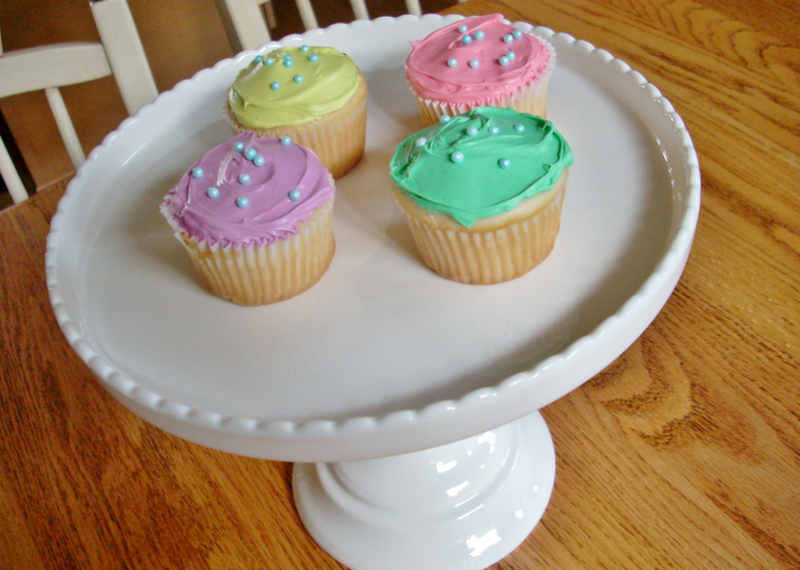 I split the buttercream frosting into a few bowls and put different colors in each. I had a lot of pale blue candy sprinkles left from baby shower cupcakes so I put those on top!